Should I take the bus to ArtPrize? Why yes, you most definitely should. Spending $5 will get you anywhere in the city and will help make your visit to ArtPrize easy and stress free. 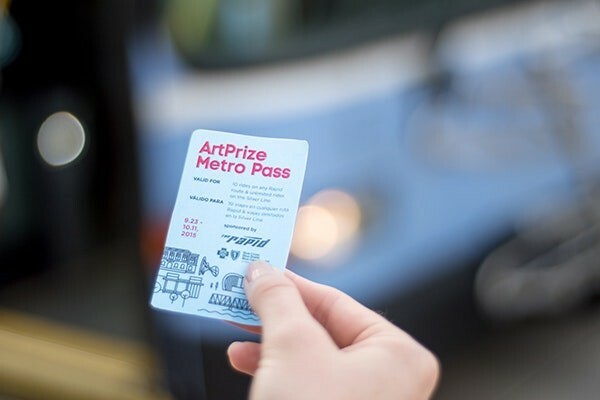 For $5, you’ll get an ArtPrize Metro Pass, which gives you unlimited rides for all 19 days of ArtPrize on the Silver Line and 10 rides on The Rapid. Talk about a steal! Fares are normally $1.50 a ride. 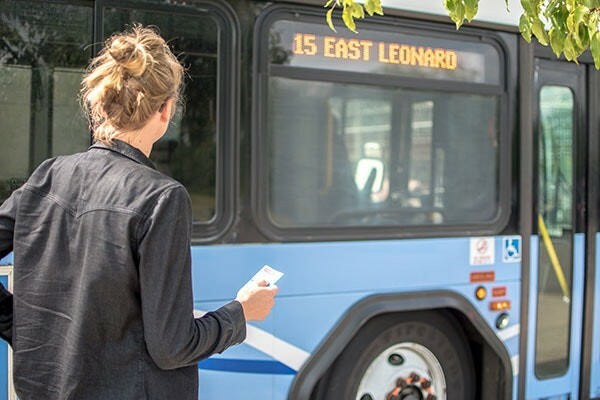 The ArtPrize Metro Pass will be available at any of the seven area Meijer Park & Ride locations starting September 13, the ArtPrize HUB, and all ArtPrize Voting Sites throughout the event this fall (September 23 to October 11). The $5 Metro Pass comes bundled with an ArtPrize Event Guide and Map—your first stop to exploring the event. So, I’ve got my handy dandy card. Now what? Find any stop with through service to The Rapid Central Station and you’ll soon be headed into the center of the ArtPrize district! Or you can park (for free) at any of the seven area Meijer Park & Ride locations, and hop onto the bus downtown. 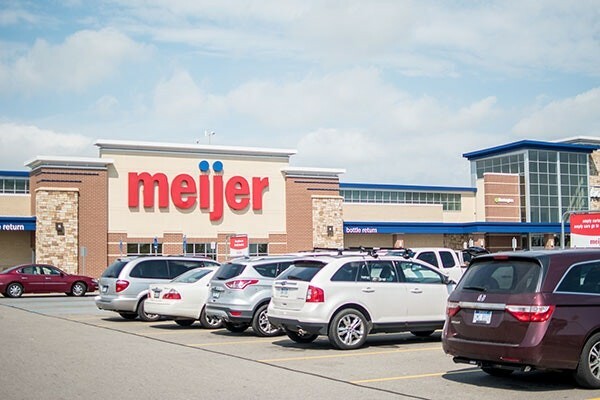 Step 1: Drop off you car at your Meijer Park & Ride of choice. Step 2: Pick up your Metro Pass (plus Event Guide and Map) inside. 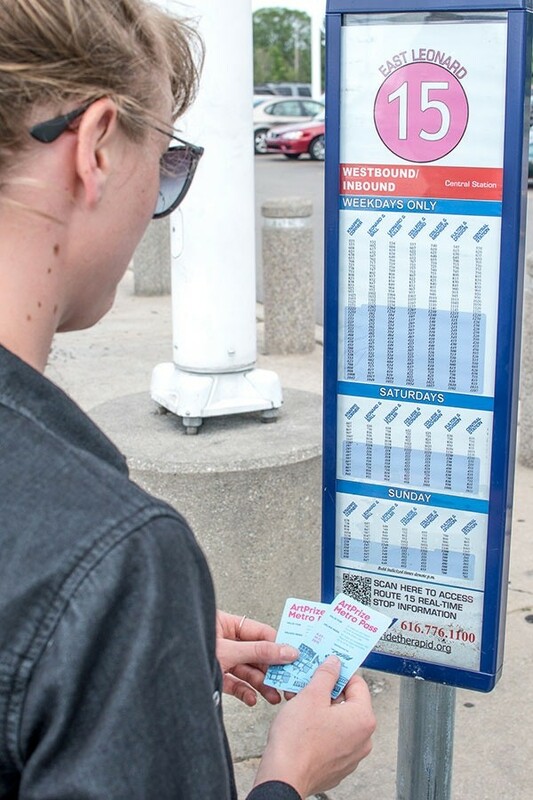 Step 3: Check out The Rapid schedule to see when the next bus will be coming your way. Step 4: Hop on and head into downtown Grand Rapids, the heart of the ArtPrize action! Love the Silver Line? Pick up your Metro Pass at the 54th and Clyde Park Meijer and head to the Silver Line Park & Ride lot at 60th and Division. The Silver Line provides a sleek experience with fare boxes at each station, and a countdown clock to tell you exactly when the next bus is coming. 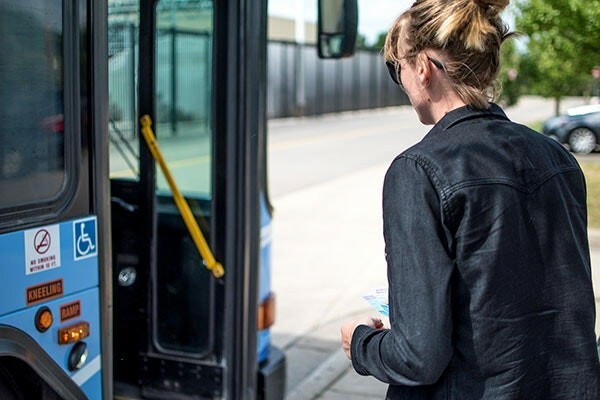 This simple, quick route is an ideal way to get around downtown. Plus, all ArtPrize Seven Pathways connect to a Silver Line stop, to get you started on your ArtPrize adventure. While you’re riding, you can use your phone to pull up the Official ArtPrize mobile app—free for Apple and Android devices—to find an official Voting Site and The ArtPrize HUB, and peruse the full list of 1,551 artist entries to create your own Lists and share them with your friends. The ArtPrize mobile app is due for a new release for ArtPrize Seven very soon, so be sure to check for the latest updates.